A handy reference that helps you quickly find frequently used tax information. 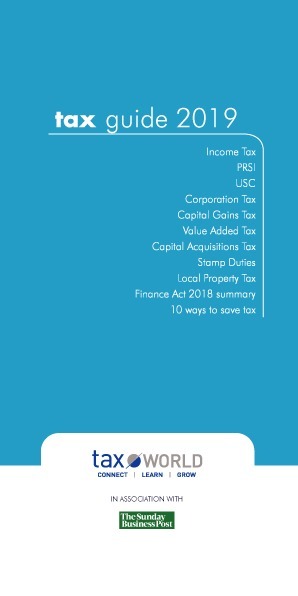 What is tax guide 2019? A handy tax reference containing 90+ pages of tax rates, tables, reliefs, exemptions, and tips. It's really simple and it's free! Just submit the form above and you will have this amazing content at your fingertips. To view the book on iPhone or iPad, download the book and when you are asked what application to use to open it, choose the upward pointing arrow and "copy to iBooks" (Apple's ebook reader). To view the book on an Android phone or tablet, download the book and when you are asked what application to use to open it, the application "Google Play Books" (Google's ebook reader).